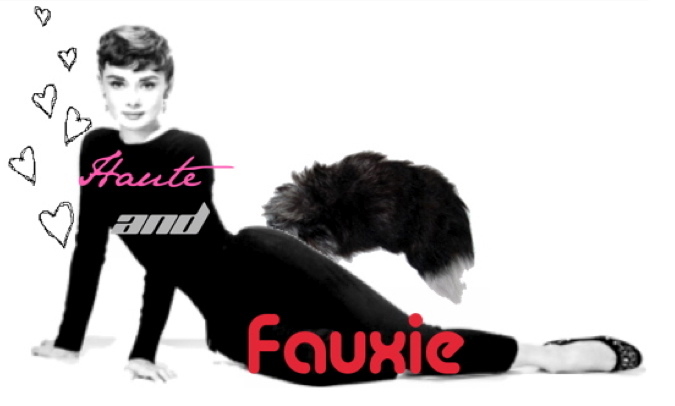 Haute and Fauxie: Is Barneys a Dinosaur? All of my life I have overheard countless opinions on Barneys New York including that its products embody the epitome of elegance and that the shopping experience is just lovely, but also that the price of the merchandise far exceeds the quality and that it is a business infused with rip-offs and scams. One of the most prominent, and most negative, opinions on Barneys was supplied to me by a very fashionable lady in her early 30's when she claimed that a flimsy shrug was on sale for over $3,000. In my 13 year old mind, I couldn't imagine that anything could be more expensive than those Abercrombie and Fitch sweaters that I longed for oh so much, and undoubtedly was taken aback by the expense of such a small and unnecessary item. On the other hand, a girl I met at camp one year told me that Barneys was the only store she shopped in. From all of the various stories and ideas about Barneys I have acquired over the years from a variety of people, one would imagine that my personal dictionary does not have a solid definition for the high-end department store Barneys. Even though I have been curious about what Barneys really is like, before today I have never gone out of my way to find out. This afternoon in the city, while on a surprise excursion to my favorite Asian restaurant, Nooch, I was passing by Barneys Co-Op, the much less exclusive, expensive and haute, warehouse. My desire to find a definition for Barney's of my own became apparent in my mind as I saw many girls that looked, walked, and dressed like me exiting the store with black and white 'Barneys' shopping bags. One detail about Barney's that is shared as an opinion by all is that the prices are higher than the tallest skyscraper in Manhattan. With the knowledge that I would not be leaving with any purchases, I entered the storefront on West 18th Street. I knew that because of the supposed drastic drop of price range of Barneys Co-Op store from Barneys, the premises would be less elegant and the service would be to a minimum, but the stand-offish ways of the employees and obvious warehouse look of the store surprised me thoroughly. I added that to my still formulating definition, but decided that I would delete it if the prices really impressed me. Ready for Barneys to redeem itself, I looked at the price tag of a knit skull-cap, expecting it to be about $75, a still very high price for such a little and unremarkable item. The front of the price tag flickered into my view and my eye caught hold of a number reading $180. After a long stare with my mouth ajar in amazement, I put the cap back and ventured off to see if this was an unlucky pick, or if Barneys truly is full of rip-offs. This time I decided to pick up a light jacket, a much more substantial item than a knit skullcap. My mind was finally made about Barneys when I saw that the jacket was nearly $2,000 dollars! Me, being the frugal person that I am, could not stand to be in such an ill-priced store any longer and left immediately. One question has been haunting me since I left; if items in Barneys Co-Op warehouse were this expensive, what does Barneys New York merchandise cost? That is a whole other adventure of itself that I will have to conquer when I recover from today's price tag shock. Finally, after many years of wondering the reality of Barneys New York, I have come up with a definition and here it is: A false state of mind for those who can afford to be scammed by a department store just like any other except with the addition of an expensive and exclusive image. In today's economic environment, there is no room for paying the big bucks simply for an image. Barneys is a dinosaur.